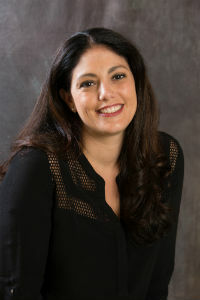 Marisa Hamrah, A.P.N., C. has an undergraduate degree in psychology from Providence College and a second undergraduate degree in nursing from Seton Hall University. She completed her Master’s Degree from Seton Hall University as a Women’s Health Nurse Practitioner in 2006. She has training in specialized gynecologic procedures which include colposcopy, vulvar biopsy, IUD insertion and removal and urodynamic testing. In addition, she has also completed DaVinci Robotic Training and acts as a first assistant to our physicians in the operating room. With her enthusiasm and over 10 years of expertise in Women’s Health she is assisting in the management of patients, helping to broaden the continuum of care for our established gynecologic patients.